UK Visit Visa Refusals: Why are they so common? Home/Appeals and Refusals, UK Visitor Visa/UK Visit Visa Refusals: Why are they so common? Getting away from a UK Visit Visa refusal has always been cumbersome due to the Entry Clearance Officer refusing almost a majority of the Visit Visa applicants for the most trivial reasons. Last year about 260,000 visit visas were refused. Any other evidence that the Home Office might seem to question about. The scope of evidence is quite ambiguous when it comes to applying for a UK Visit visa. The applicant under the guise of being ill-informed with regards to the proper evidence that has to be provided in front of the Home Office is most likely to be refused as the Home Office themselves are already burdened with the tiresome amount of application. Lack of chronologically placed documentation, as well as proper documents to be submitted, may be another reason as to why any applicants would be refused to enter the UK. Sometimes the applicant not being aware of the various visa options may avail for a visa option which might not fall under the purview of his requirements. For example, people applying for Tier-1 application instead of Standard Visit Visa for business activities may be rejected upfront if he falls short of the requirement under the Tier-1 visa, as it is more stringent than the Visit Visa. Another reason of rejection is non-disclosure of any previous issues such as refusal from another country or concealment of any criminal record which would affect the interest of the Home Office. If such misleading or non-disclosed statements come to the limelight of the Home Office, he might even attract a ban from the UK for certain period of years. There are so many other reasons which the applicant may not be successfully able to enter through Visit Visa mostly due to being misguided by people who do not have any expertise or are not trained lawyers who specialise in immigration. The SmartMove2UK (a unit of SmartMove Immigration) being one such endeavour to assist in the process of smooth application to the UK without any hindrance and have assisted in transforming so many lives with their diligent team of solicitors, attorneys and paralegals, virtually guaranteeing you do not face a UK visa refusal; our firm boasts a record of never having been refused an application on technical grounds. If you would like to ensure that your visa application receives the sharp eye it requires to avoid the above mentioned problems while applying for a visit visa, drop in your details below and one of our associates will be in touch with you shortly. Our offices physically cater to the all 4 zones of India as well as the UK; Delhi, Bangalore, Mumbai, Chandigarh and London. The above article was written by one of our ‘Trainee – Immigration Advisor’. At The SmartMove2UK we encourage everyone who works with us to think independently and form opinions on worldly matters based on their experiences. 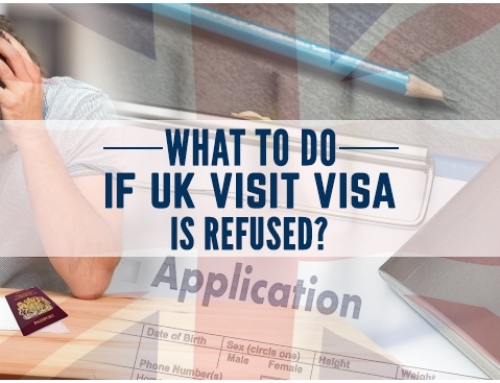 What to do if the UK visit visa is refused?